Adobe recently confirmed the suspicion held by many in the games industry that Flash is a dying platform. 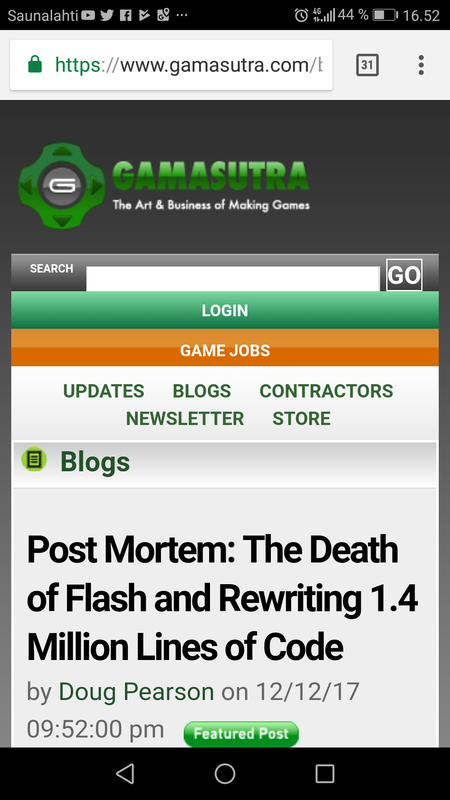 The official announcement that Flash will be discontinued in 2020 is threatening the infrastructure for many games and mobile apps, putting developers in a position to either abandon or overhaul their proprietary code built meticulously over the course of years. The question was whether to start over by building a new platform from the ground up, or find a solution to transfer current codebase to a new platform. Finding the right solution was not going to be easy. After selecting Haxe, the team decided to parcel the transition into four parts. With any major undertaking, challenges are bound to arise.